Telecoms Traders supplies highly compatible products, with solutions that are 100 per cent compatible with more than 40 vendors and thousands of systems. 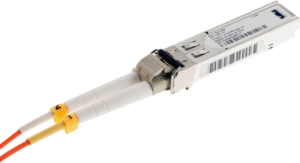 We provide all available transceiver formats, for all major vendors, allowing you to purchase 100% guaranteed compatible products for SFP, SFP+, XENPACK, X2, XFP, QSFP or CWDM/DWDM. Offering an industry-leading, lifetime advance replacement warranty for all our transceivers, Telecoms Traders challenging the high costs, long lead times and virtually non-existent warranties offered by all the major vendors without any loss of quality or reliability. Telecoms Traders is a highly motivated company, intent on saving our customers significant capital outlay, whilst providing the highest quality and most professional service in the industry.